Those who have read Shantaram would understand my excitement in visiting Mumbai. 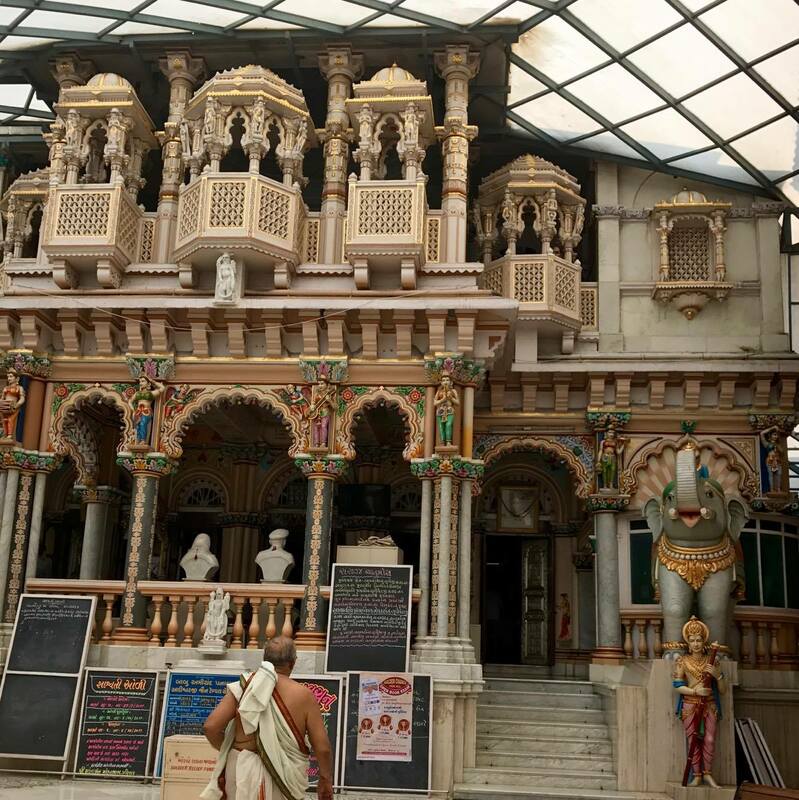 I couldn’t wait to explore the sights experienced by Shantaram during his time in Mumbai. Knowing this, you have you to empathise with the distraught I felt when I found out we only had one full day to spend in Mumbai. 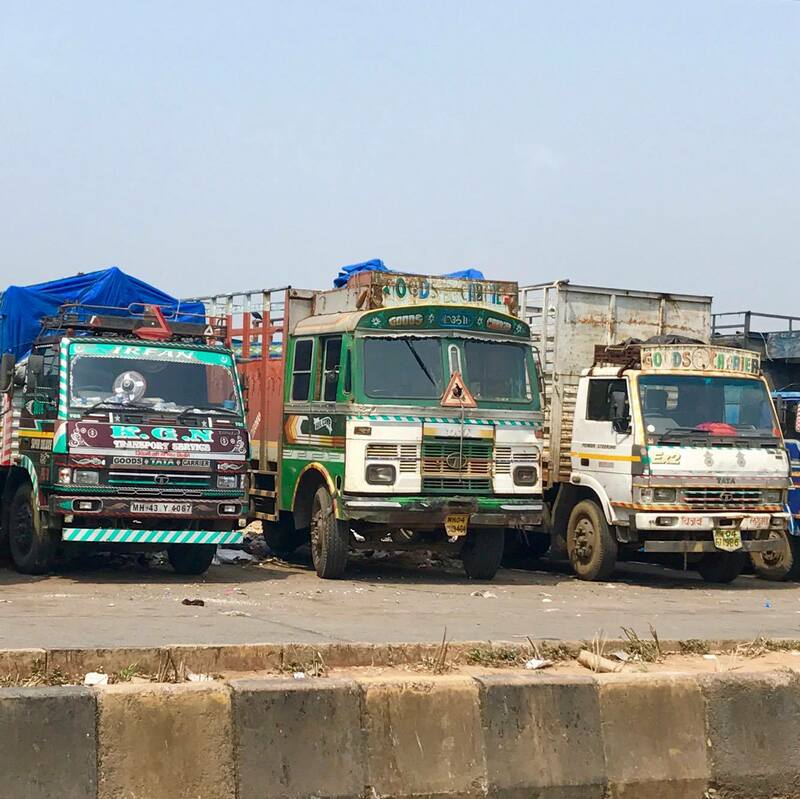 I was nervous, because if traffic was anything like it had been in Delhi, from experience I knew I wouldn’t get to see even half of what I’d wanted to. Fortunately, there are no rickshaws in Mumbai, so getting around was far easier than I had hoped. I was fortunate again (in the eyes of Shantaram at least) to be staying in the charming district of Colaba. With a population of 20 million people, Mumbai is the world’s fifth most populous city. The city is lively and exciting, it is a port city, it is India’s financial centre and it is home to the Bollywood film industry. 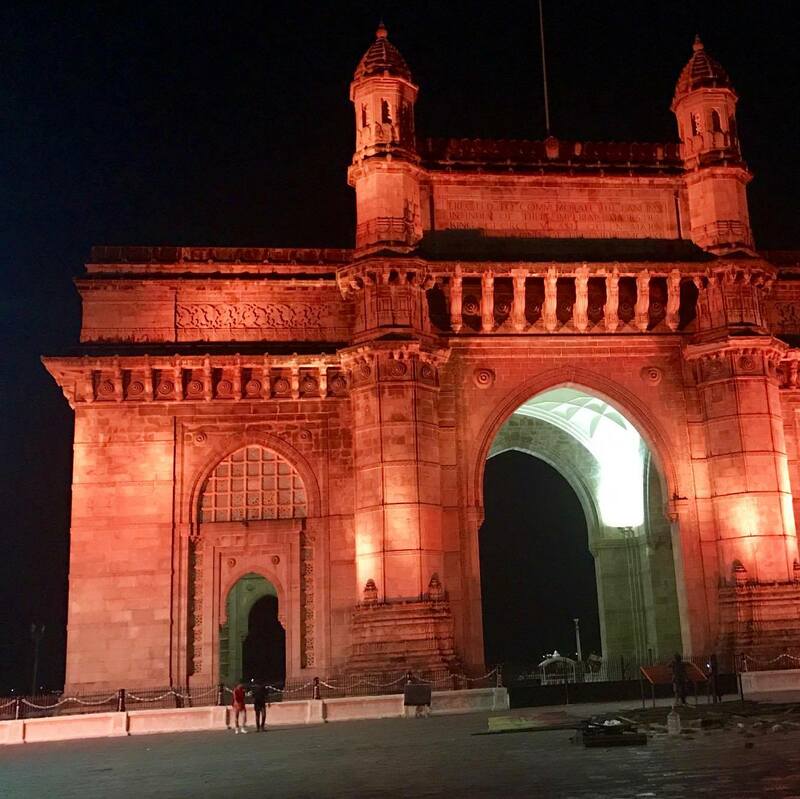 Mumbai is an absolute mecca when it comes to shopping, restaurants and nightlife. 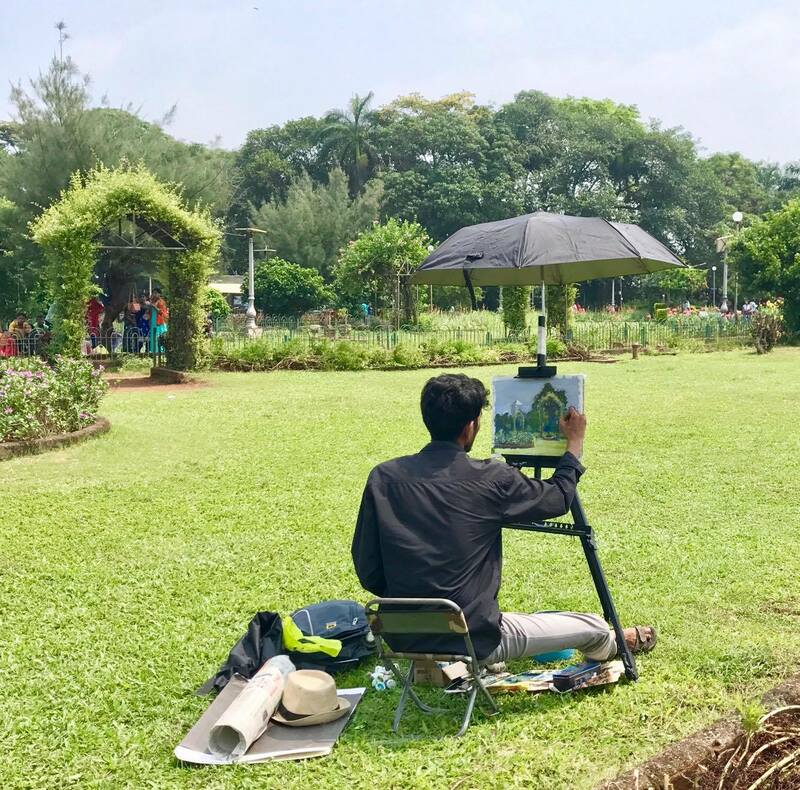 Despite all of this, Mumbaikers (as the locals refer to themselves) are notoriously chilled out. 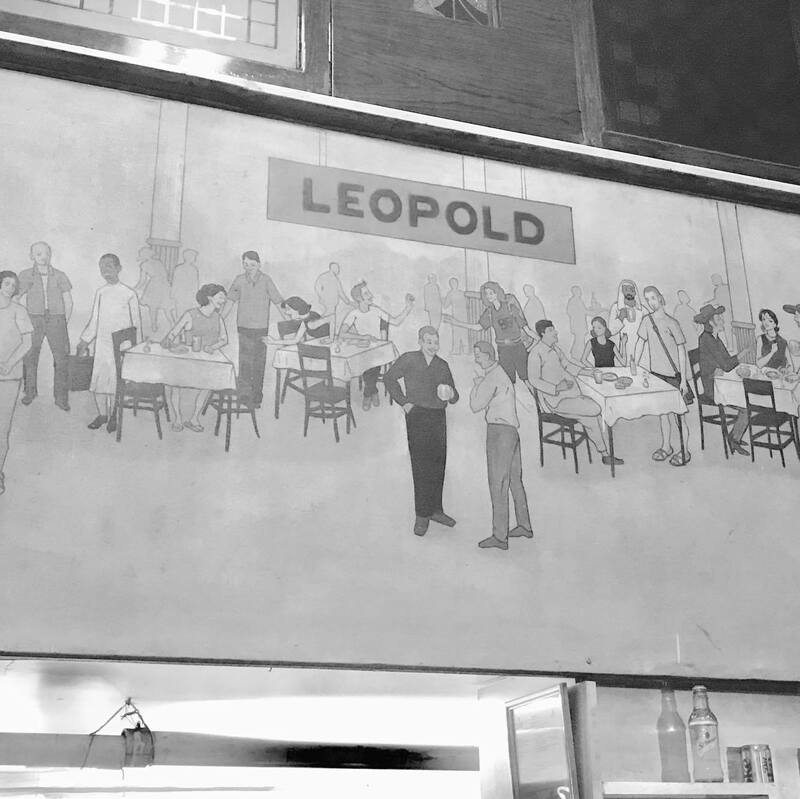 For dinner, we made it to Leopold’s – a Shantaram classic! My mutton rogan josh was one of the best meals I had in India, even if the prices are more expensive than usual. The bullet holes from the 2008 terrorist attacks are still very much obvious, and the shattered glass upstairs serves as a continual reminder of the damage that was caused. For Shantaram fans, if you pay a visit to Leopold’s, make sure you take a trip upstairs to get a real feel for the place; downstairs really just caters for the tourists. 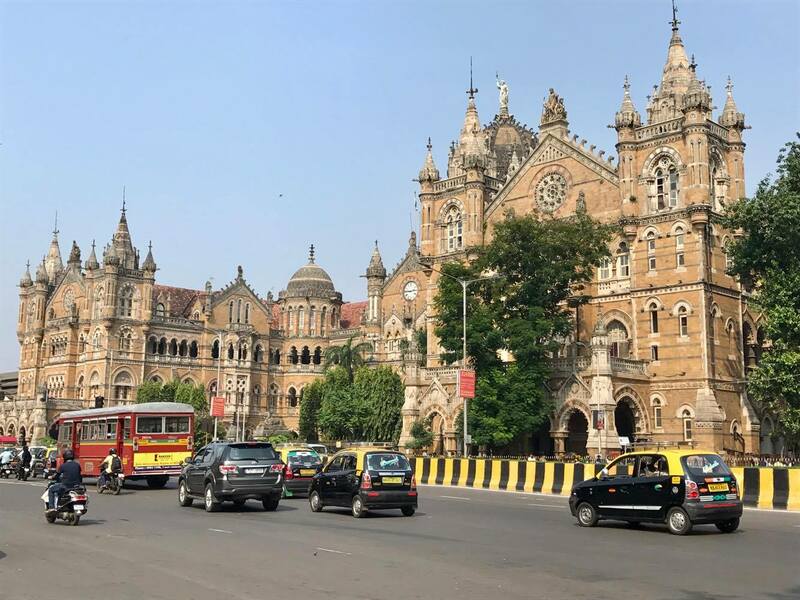 1 Chhatrapati Shivayi Terminus: also known as the Victoria Building, this train station is a UNESCO World Heritage Site similar in grandeur to King’s Cross. 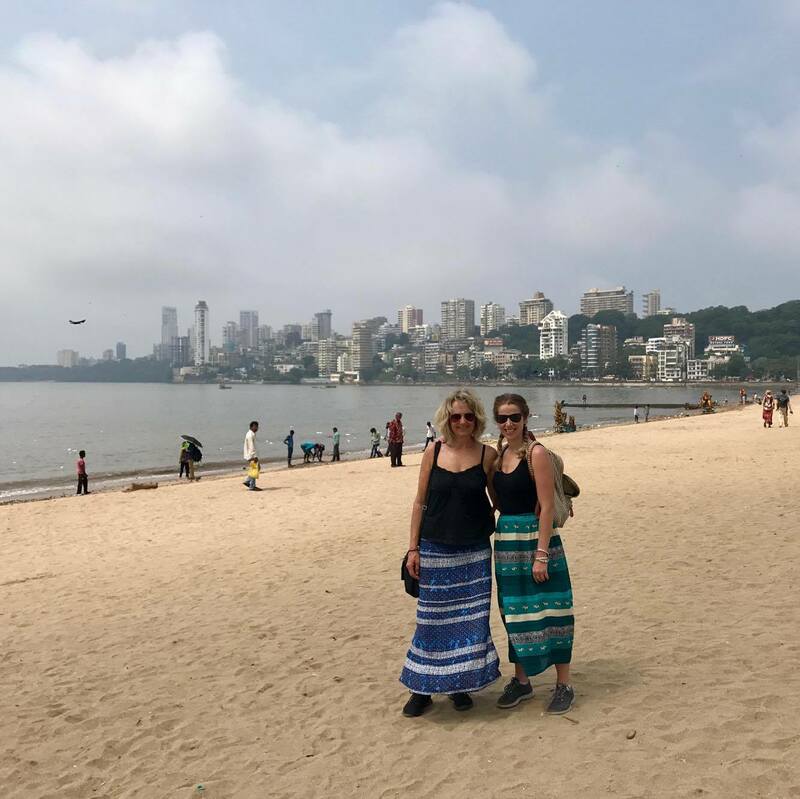 2 Chowpatty Beach: Not long before travelling to India I read ‘Heavenly Hirani’s School of Laughing Yoga’, which was a fantastic read by a New Zealand author, Sarah-Kate Lynch. The setting for the school of laughing yoga was Chowpatty Beach, so I was intrigued to see it in real life. There was loads of golden sand, grey smog and dull water – I think the locals are far more likely to swim there than tourists. 3 Gateway of India: another architecturally splendid monument, the Gateway of India was built to commemorate the 1911 royal visit of King George V and Queen Mary to Bombay. Ironically it wasn’t actually built until after they had been and gone. It is free to visit, and it is also open at night. In 2008 it was targeted in a bombing attack (where over 150 people were killed). 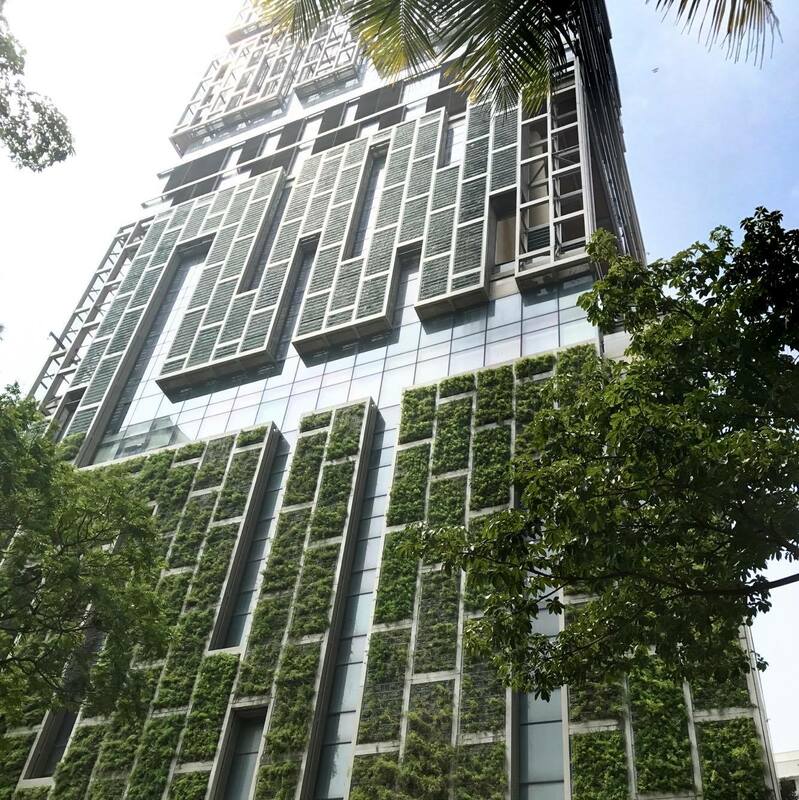 4 Antilia House: this place was most recently valued at US $1.67 billion. It has 27 floors, and houses Mukesh Ambani (the chairman of Reliance Industries, a massive Indian conglomerate holding company) and his family. There is over 600 staff! I thought the place was absolutely ridiculous and just shows the massive difference in rich versus poor in India. 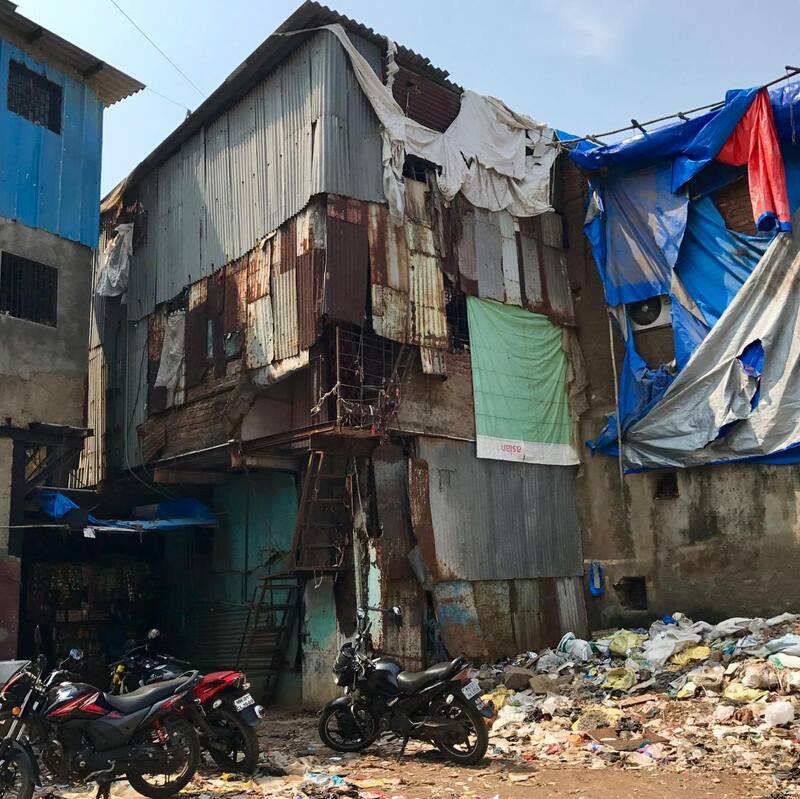 He would have had a prime view of Dharavi Slum (and probably others!). 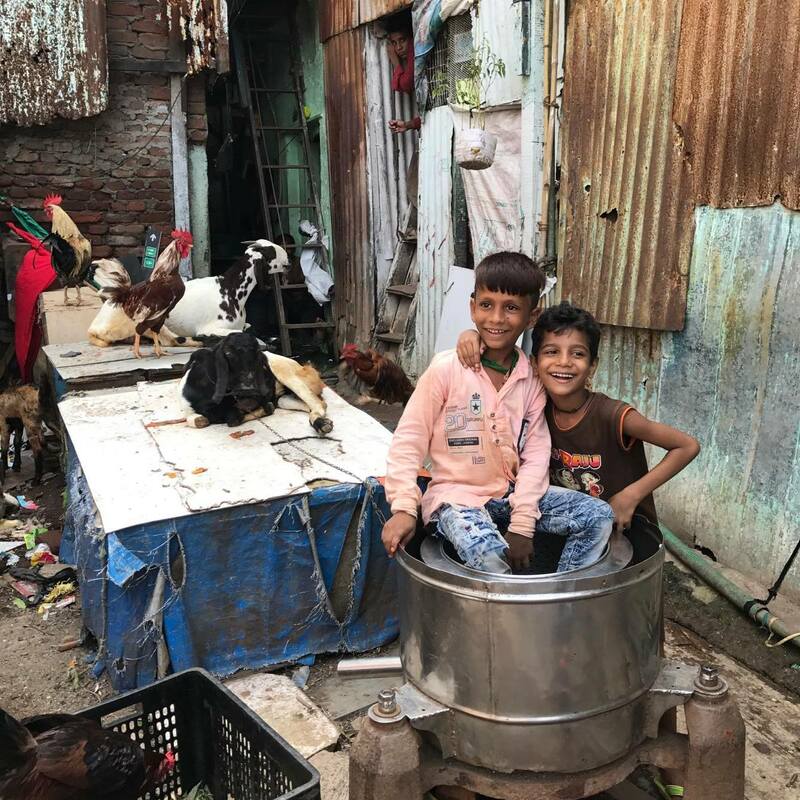 5 Dharavi Slum: With a completely contrasting population density to Antilia House, Dharavi Slum houses between 700,000 and 1 million people in a space of 2.1 square km – making it one of the most densely populated areas on earth. There is massive diversity in religions and ethnicities. We did a tour there and it was absolutely fascinating. 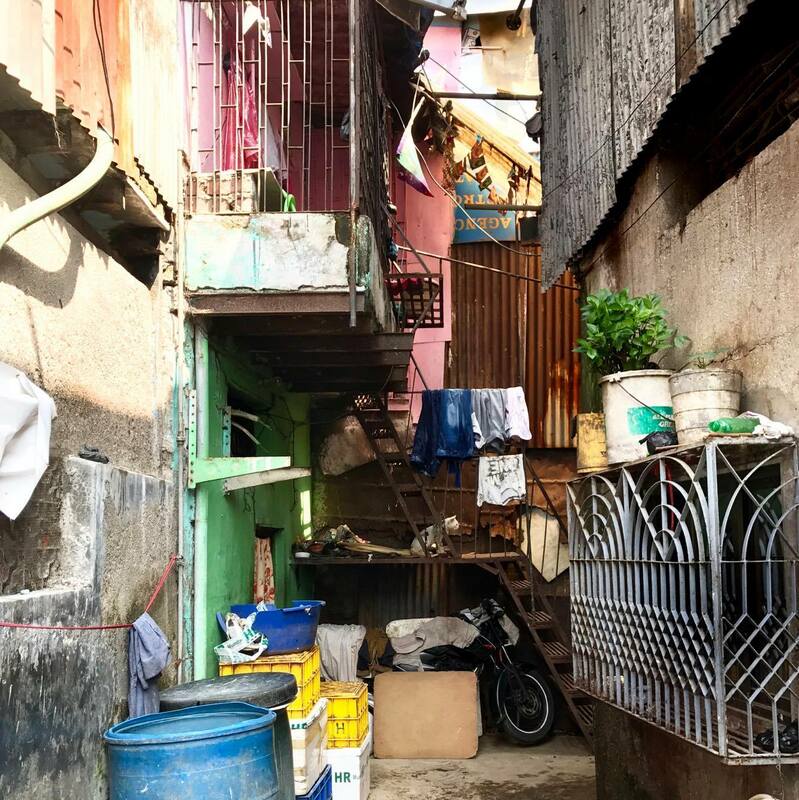 Far more industrious and proficient than we are led to believe – we were told slum has an annual turnover of about US $1 billion. 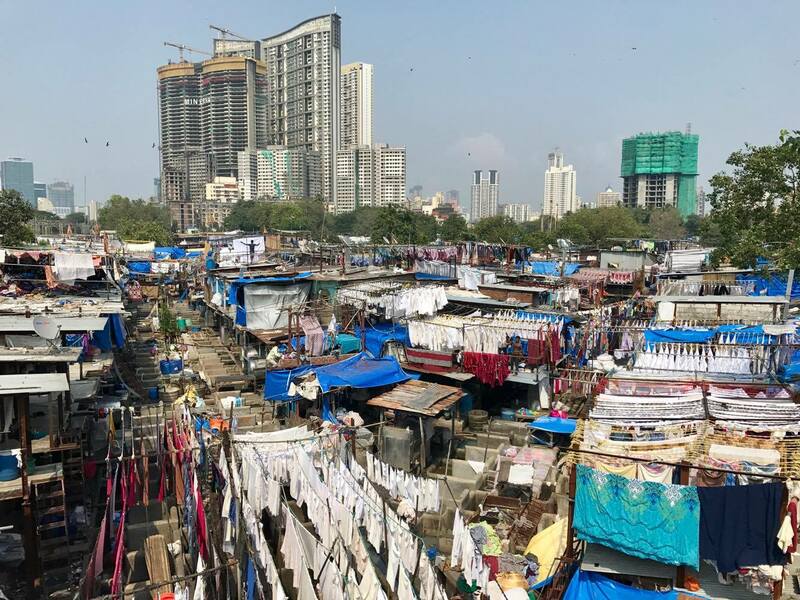 6 The largest open air laundry in Asia: its formal name is Dhobi Ghat, and while it might sound like a bit of a non-event, the size and scale of this place is astonishing. There are just so many clothes and sheets all flapping in the wind; it was so incredibly beautiful to witness. The washers there mainly wash the sheets and clothes from local hotels and hospitals. 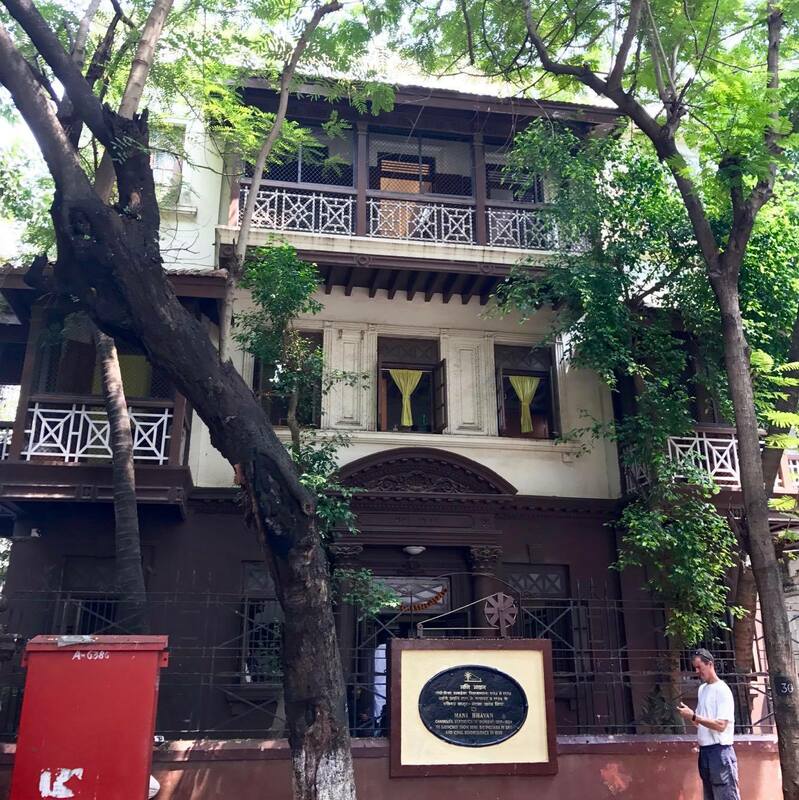 7 Mani Bhavan: the residence where Ghandi started his Quit India Movement. The place is very inconspicuous apart from the groups of tourists loitering nearby. The day we went just happened to be Ghandi’s birthday, but we couldn’t work out if that meant it would be busier or not. Entry is free (but donation is encouraged) and there are quite a few different rooms with relics and books from back in Ghandi’s day. The part I found most fascinating was the museum on the top floor; it was very insightful, very easy to read and stay engaged and very informative! 8 Haji Ali Dargah: a mosque and tomb located on an islet off the coast in Southern Mumbai. It is a very distinctive landmark. 9 Nariman Point (waterfront area) and Marine Drive (the Queen’s necklace): Nariman Point is the business district. Marine Drive is a 3.6 km long boulevard in South Mumbai. It has six lanes. It is known as the Queen’s necklace because when it is viewed at night from an elevated point, the street lights resemble a string of pearls in a necklace. 10 Hanging Gardens: a water reservoir located up on the top of Malabar Hill. 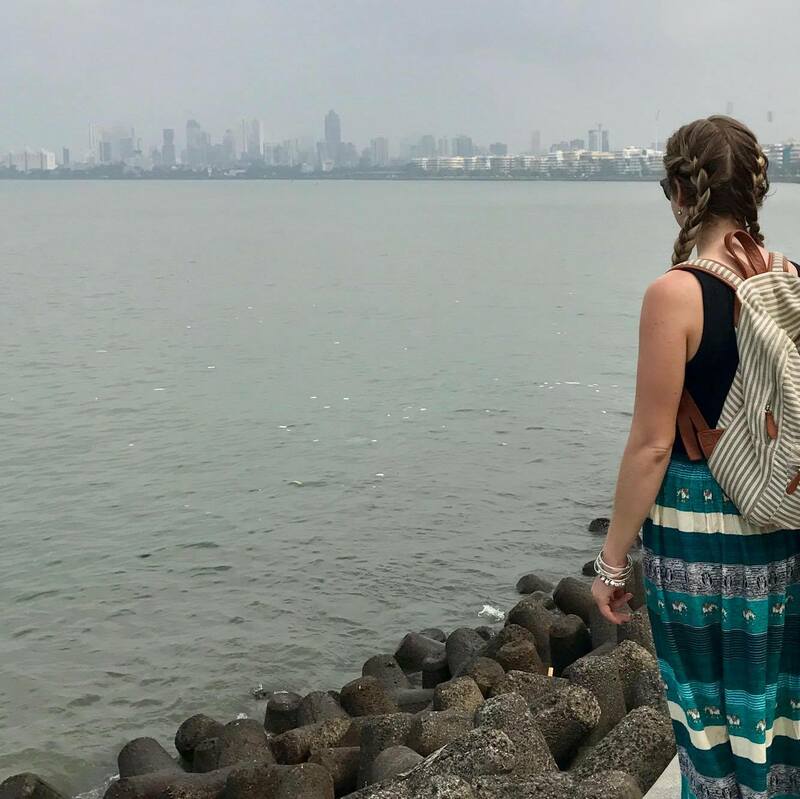 There are supposedly sunset views over the Arabian Sea, but we actually struggled to find where you could even sight the see. The water reservoirs here source most of Mumbai. 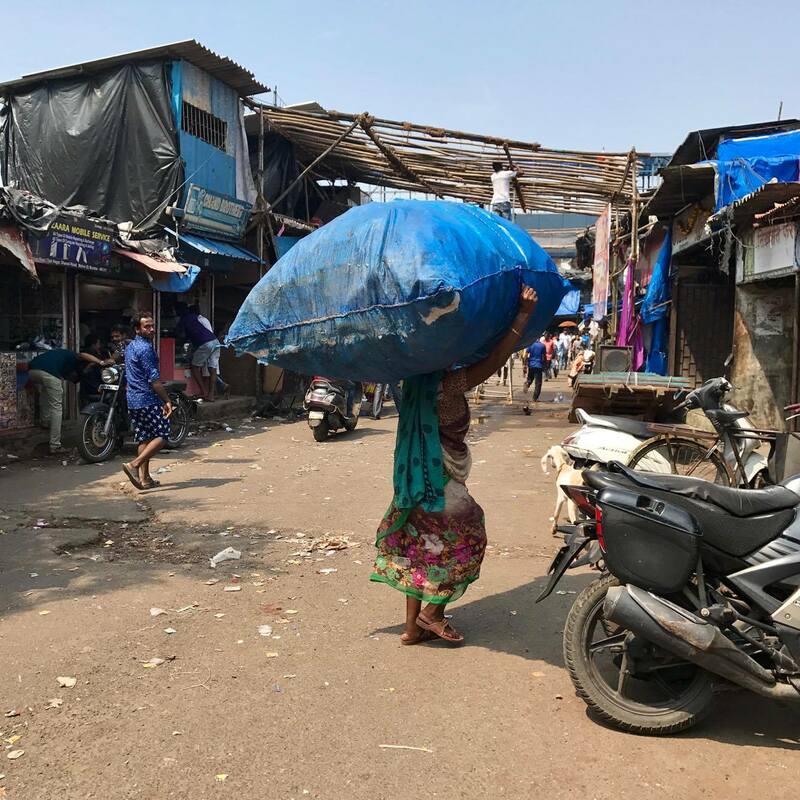 I really enjoyed Mumbai (well what I got to see of it). It definitely has more of an international city vibe than Delhi, and it seems wildly more developed. Transport was far more slick, and the people (or at least the people I encountered) seemed to speak better English. The main thing that got to me was the pollution – it made the whole city seem so grey, and the waterfront views were almost non-existent. Mumbai is somewhere that I would have no qualms going back to.